Habitat - Rich wooded slopes, alluvial woods. 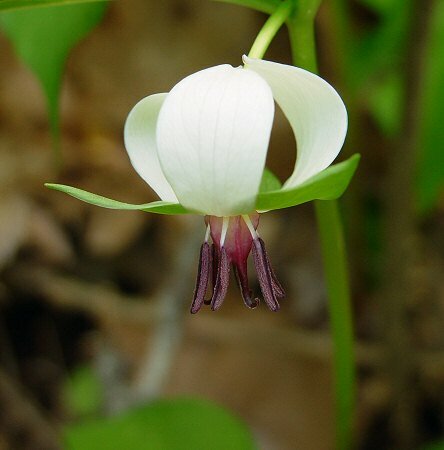 Other information - This striking species has been reported in just three (perhaps one) Alabama counties. It is an uncommon species throughout the southeastern United States. 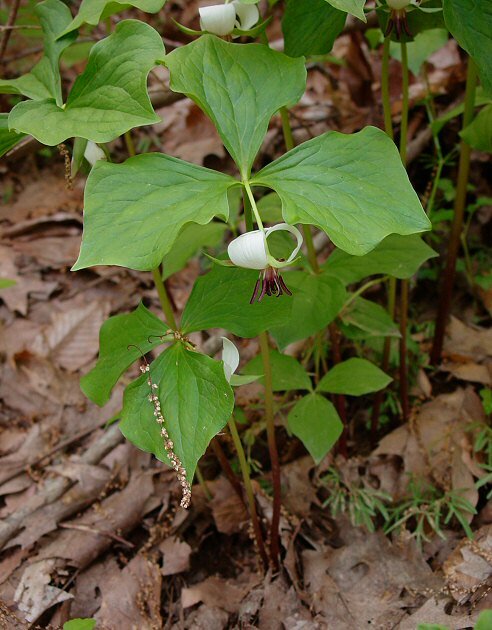 The plant can be identified by its sessile leaves and nodding flowers. The purple stamens are another character to look for. 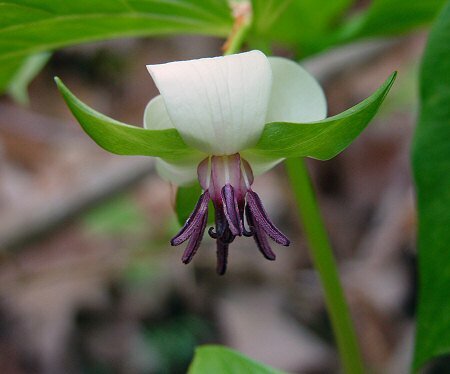 The genus name Trillium comes from the Latin "trilix" meaning "triple" referring to the parts of the plant being in three's. The species epithet cernuum comes from the Latin "cernu" meaning "nodding" referring to the flowers. Photographs taken at Tom's Creek, NC., 4-20-03.